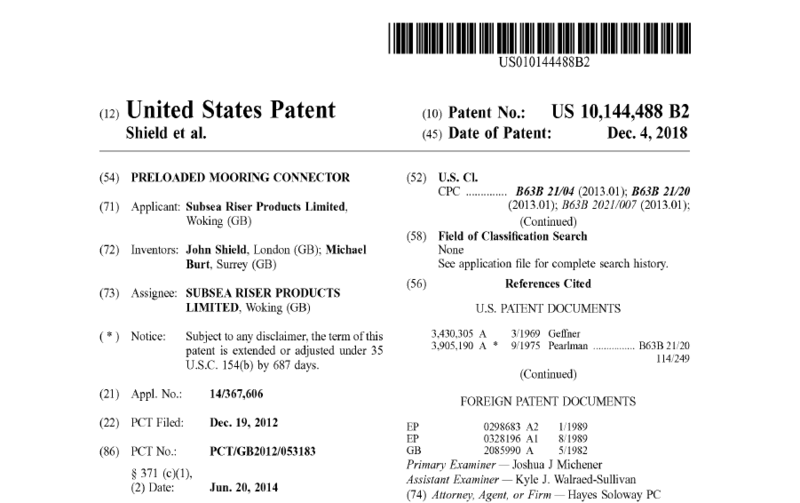 We are pleased to announce that Rocksteady – our subsea mooring connector – has been awarded United States Patent No. 10,144,488. This patent award validates the world class innovation here at SRP. Rocksteady also has ABS and DNV type approval, and we are always improving and optimising with our product development program … these are all hallmarks of a quality product. The connector features automatic latching and can be preloaded to withstand bending and torsion loads, improve fatigue life and optimise subsea installation. Rocksteady is now far smaller and easier to install than any other subsea quick connector. Since the original qualification and fatigue testing in 2012, SRP has developed multiple derivative Rocksteady products, including hydraulic lifting tools, remote control high load release, and ROV-free connectors loaded with sensors.